Sometimes less is more and sometimes more is more. The brief for this nursery was to create a gender neutral, stylish and clutter free area form mom and baby. 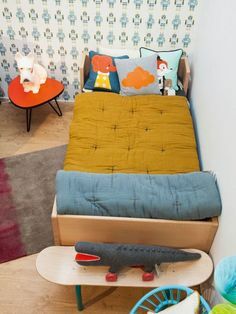 I did not use a specific theme in the room but the LittleME Cacti crib sheeting inspired a more tribal feel but I did not want the theme to overpower the room. The Umthi Meyer von Wielligh lamp is made from solid Ash wood and an amazing feature in this room. 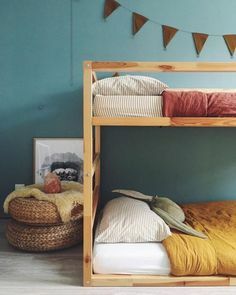 I added in pops of colour with the shelving, bedding and ottoman but I kept the rest of the colours and finishes very natural and neutral. The room is not huge so we had to use the space wisely. 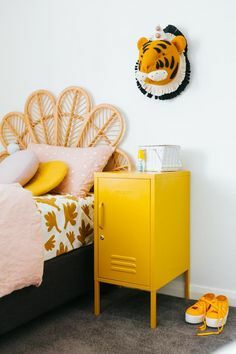 This is also the reason why I used the bright colours sparingly, avoiding it to be a visually noisy space especially because it is a nursery too. Instead of using a big rug in the room I opted for a little merino wool foot rug by the rocking chair instead. It is a feeding chair, a baby rocker and a little toddler table all in one…. I really love how innovative this product is and it is suitable up to toddler size so the R2500 price tag is well worth the spend. Demetri tried it out and loved it, it is just the perfect fit for him. Here are some of the other suppliers that was used to create this no fuss nursery design.